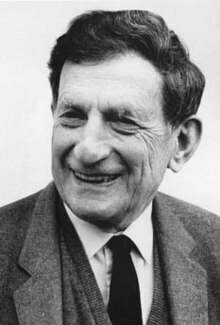 I have recently discovered the ideas of David Bohm, a theoretical physicist who also had an interest in the social implications of how thought and language can lead us to perceive falsely, a fragmented world that is in reality whole. What is the source of all this trouble? I’m saying that the source is basically in thought. Many people would think that such a statement is crazy, because thought is the one thing we have with which to solve our problems. That’s part of our tradition. Yet it looks as if the thing we use to solve our problems with is the source of our problems. It’s like going to the doctor and having him make you ill. In fact, in 20% of medical cases we do apparently have that going on. But in the case of thought, it’s far over 20%. So if thought and language by their very nature fragment and divide our experience of the world and our sense of self, what can we do about it? It’s doubtful that we can ever overcome our human nature and remove thought from our experience, but perhaps through attentiveness we can learn to recognize the subjective and arbitrary ways that we come to conclusions, decisions, and how we categorize things and events sometimes drawing erroneous conclusions and then proceed to live by them. Bohm suggests that thought itself cannot change the world, but rather what is needed is a change in our perception and meaning. If perception and meaning at a more ontological level can include awareness of the whole, perhaps the nature and stream of thought changes. I have often struggled with the notion of wholeness, as a state to arrive at, because I disagree that we should be seeking a fixed and permanent state of being. To my knowledge there are no fixed and permanent states in nature. Bohm reminds us of the etymology of the word broadening the definition to imply an action or event of healing. Perhaps where it occurs, our desire for wholeness may be related to an intuition of the wholeness perceived in the undivided nature that is background to our imagined foreground. Then wholeness is understood not as something to possess but rather an ongoing reconciliation with the unfragmented motion of living within nature’s wholeness. Along with many significant contributions to science, Bohm tried to give us a way to understand our human nature that would help us to reconsider our social relations that would further the efforts toward a more peaceful world in which humans felt they belonged. “Whenever men divide themselves from the whole of society and attempt to unite by identification within a group, it is clear that the group must eventually develop internal strife, which leads to a breakdown of its unity. Likewise when men try to separate some aspect of nature in their practical , technical work , a similar state of contradiction and disunity will develop. The same sort of thing will happen to the individual when he tries to separate himself from society. True unity in the individual and between man and nature , as well as between man and man, can arise only in a form of action that does not attempt to fragment the whole of reality. There are a number of interviews and lectures available online in which the gentle, peaceful nature of this man shines through along with the presentation of his ideas for bringing about a more peaceful, undivided world. Bohm was a friend of Krishnamurti and here you may explore their relationship and dialogues. Quotes taken from Bohm, David (2005-07-12). Wholeness and the Implicate Order (Routledge Classics) (Kindle Locations 515-517). Taylor and Francis. Kindle Edition. Thanks Penny. Good post, thank you for the link. Looks like we share in a dislike for labels 🙂 I agree, they can give us a false sense of separation and keep us from digging deeper into our understanding of each other. Likewise! I have enjoyed what I’ve seen so far. You post some very lovely photos and poems. There is a section in A Course of Love that I really enjoy that relates to the discussion here on wholeness and thought. And Jesus says, basically, He doesn’t think like we do, but he receives thoughts. I think this is very similar to one of the comments above written about Bohm’s distinction between thoughts that turn back on themselves, and a freer state of mind. I paraphrased that poorly perhaps, but I think the key is that as separate individuals, we are prone to rely on thinking as a primary tool to analyze and solve. As unique extensions of Wholeness, and as we learn to relax from this analytical, problem-solving way of being, we enter a river of thought- of thoughts sent to us as gifts, like revelations. You asked, “So if thought and language by their very nature fragment and divide our experience of the world and our sense of self, what can we do about it?” I would say the cart is before the horse in this, although that may be hard to believe. A language based on a world consisting of discrete “things” probably came AFTER (not sure about time anyway when we speak of these mysteries, but I hope you will bear with me) minds began to fragment- fragmentation being the identification of self as the part, rather than seeing each part as an expression of the same Whole. I don’t think it is human nature to think this fragmented way, but it is culturally indoctrinated. It is a pattern. We drive on the right side of the street. But we could drive on the left? Kids, perhaps, prior to language, “learn” and “come to know” without words. It is quite natural? This, or something like it, I think is what it is like to be “inspired”, to “receive thoughts” rather than make them, etc. I think writers, musicians, painters, scientists, engineers- all receive ideas from time to time. We just don’t understand how things could ever really be this simple, and still work! You left me with lots of good stuff to ponder, thank you! I can remember being a child of about 10, and my dad trying to explain to me that if you have a measure of something, say an inch of string, and you cut it in half, and then cut those pieces in half, and keep further dividing the halves, you’ll never be rid of the string. This topic of using language to describe the relationship between the underlying whole and the limits we live with (time, assumptions, language, etc. ), seems almost as if the same dynamic of halving the halves happens. We can, and should, consider the nature of reality and the conventions of language and culture, because it helps us to perceive in a new way and like you say, receive thoughts, rather than make them. James Hillman says that image is primary, that we perceive images and all else is an act of translation. That’s not to say that the act of translating is wrong, but needs to be considered and understood as an act of translation and not be mistaken for reality itself. We live in amazing times where there is so much opportunity to communicate with a big world of people, whose experience and customs are just different enough from ours to allow us to distinguish between conventions, culturally learned assumptions and not mistake them for reality. So beautiful and important for understanding each other. And yes, lovely how you say language can propel us. I so agree. I fully acknowledge that language is a sort of key to the ineffable, and when the door is open, language frees rather than captures what is beyond itself. I identify completely with your description of wholeness where you speak of it not being a state that we arrive at. I was thinking recently on rereading The Rhythm of Wholeness by Rudhyar and boom, I saw your post. Must be the sign. I do not see wholeness as something fixed or permanent. But I believe it exists as two phenomena. The first is the totality of archetypes, i.e. the collective unconscious, or you can just call it nature. The other is yours and mine individual wholeness, a part of you and me that we have unlived, a splintered part of the individual psyche. I think we negotiate our wholeness from moment to moment. There is not an ideal state of wholeness that we can achieve and rest there because the principle of enantiodromia will inevitably “kick in.” Perhaps nature does not like one sidedness. When I think of wholeness I also think of individuation, growing from the seed to become a whole tree. You’ve touched on many important problems in your post. I only know Bohm through Krishnamurti. His thoughts on the limiting nature of thought and language are very close to my heart. Yes, I agree and like to think that we can have a relationship with wholeness even though our experience remains fragmented in some degree. I think that as we perceive we can learn to see keeping in mind the divisions we make through thought and imagination. But “Wholeness” is a mere futile concept, like music is for the deaf. Thinking – as we know it – cannot consequently grasp “Wholeness”. We can´t heal unless we question and eventually give up thought. Difficult…- as thought is our most precious asset. This “asset” is our greatest curse. I don’t know what you mean by “give up thought.” Have you experienced this? As to your first question I´ll get back. “To come alive from these places of Death requires great boldness and determination. these battles, points to that direction – Illumination. TO GIVE UP THE THOUGHT-MADE IDENTITY… – it is not less than a heroic act of courage as I come to understand that Thought is the total antinomy of Life…Thought is the greatest barrier to know God, in fact, ultimately, I see thinking as the worst disease invented by man, to defend himself from the Creator. Yes…Thought which is psychological Time which keeps us away from God. Thanks so much for sharing so deeply your experience. I am greatly touched by your description of battling the invisible levels that you speak of and of having won something that is helpful and healing. I have had my own struggles but also an experience of tremendous healing at a very physical level of my being. I agree that thought, as I would attempt to portray it, is a huge obstacle and barrier to know God, or to what I refer to as the immediate experience of pre-verbal flowing reality. But, I sense too that thought, our habit of thinking, flows as part of our experience. What Bohm proposes is to look at thought (I may not be expressing this clearly enough) as being affected by memory and habit, in which thought of this nature can be likened to a radio receiver feeding back on itself. Thought of this nature is a barrier to the perception of non-fragmented wholeness that is non-verbal reality. He also sees thought, when it is not bound to a condition of feeding back on itself, to be the means by which we perceive the nonverbal world, or as he calls it, the whole. Having experienced a tremendous healing in my life, I remain grateful for the fluidity of thought that I experience now (most of the time anyway). I am always open to hearing how others try to express our very complex human experience and would gladly admit the difficulty of using language to communicate with each other. We may not agree, we may agree, but I can’t help but wonder if our disagreements (I mean this broadly, not necessarily just between you and I) come from not being aware of how we are each using language. Is it not though, one of the greatest works of being human to attempt to understand one another? I think so. Based on some of your specific comments and the gist of your post as a whole, I think you might really enjoy “No Self, No Problem,” by Anam Thubten. A very direct and straightforward presentation the problem of fragmentation plus the outline of a traditional way through it. I just recently found that book. I’m loving it! I heard about the concept of language creating reality a long time ago (in one of my classes), and have seen the idea being talked about in different places, but not to a great extent. I just know the power of propaganda and the way people can use words to twist reality. Neurolinguistic programming is supposed to take advantage of this concept. Some say it’s pseudoscience, others say it’s wonderful. Hard for me to say since I’d never used it before. I just saw Julien’s post about it, and my friend T’s response. I have no way to even begin to have a dialogue about the matter. I really would like to read that book, too. It would be really interesting. 😉 I have a LOT of Krishnamurti’s works already. I do know physics, and in particular, quantum mechanics, changed the playing field, when it was discovered that matter can behave as both a wave and a particle. I’m no longer searching for wholeness, I think I’m just like matter. I’m fragmented AND I’m whole, depending on how I want to look at it. The only reason I ever felt fragmented is because I have felt different changes in perception during trauma. Also, different aspects of myself come forward to deal with what’s in front of me. I’d also said things in the heat of the moment that I’d come to not remember very well later. I’m giving up the search for a fixed identity too. I really do believe there is so much trouble with having one. I like the flexibility not holding onto one gives me. I can meet life in much more useful ways by not being locked into any one way of being. As I outgrow old patterns, it’s easier to acquire new ones. This way, I can be however I need to be in the moment. I like me better this way. I definitely believe there is something to be said about re-programming the mind in the way we use language. How we talk to ourselves has a powerful impact on whether or not we will be able to outgrow old patterns. I’ve thought myself into some horrible psychic places, and thought myself into some really beautiful ones, too. I do know it’s not often what happens to us that is a problem, but what we tell ourselves about what happens that could be a problem. Albert Ellis designed a whole therapy based on the way we interpret what happens and the false beliefs we may hold. We can’t eliminate pain, but we may be able to diminish the amount of pain by what we tell ourselves about it. I’m even more careful with language with my daughters, like I strive to have my daughters use language to describe their intense feelings instead of acting them out. And I try to have them say “I feel mad” or “I feel sad” or “I’m feeling really frustrated” instead of “I am mad” or “I am sad” or “I am frustrated”. I feel the feeling, but I am not the feeling. Small change in words, big shift in meaning. Yeah, I so agree with your take on identity, but I only wish I had understood that at age 4 instead of age 38, lol! Spending time with words and language continues to give me a freedom to understand at ever deepening levels, Iam grateful for that too. I’m blessed to have my daughters. They taught me more about love than I ever knew was possible. My middle daughter was selectively mute when she was a preschooler, and had sensory issues for the longest time. I had no idea how to mother my children. I had to start from scratch since my mother was both emotionally unavailable and psychologically and sometimes physically abusive. It led me on a quest to learn how to meet them where they are at, not where I want them to be. In doing so, I have begun to heal the woundedness in me. The journey has been tough at times, but no matter how many times I falter, I know I can always get up again. This is very insightful and something I am still learning to do with friends and family. Not having had any children, I can only say that having cats that I love and care for has taught me that to be close and bond with them, I need to meet them on their terms. WP is a special place. I love engaging with people here and I so enjoy your blog and your willingness to share so openly. It has been fun getting to know you, even in the limited way we do here. Aw, thank you so much for your kind words, Debra. I once had an email conversation with a dear friend of mine about nakedness. If we could all go around naked, what shame would we be able to have if all of the things we hide out of learned shame are revealed? Remember how we kids loved to be naked? Well, we’d all still be if adults didn’t tell us to cover up. We were kind of talking about both physical nakedness as well as emotional/psychological nakedness. I find as I am ‘coming out of the closet’ – so to speak – about the things I’ve kept hidden, a greater liberation. I hid some things too long in shame and fear. But I know now the thing I have feared the most of all is not other people’s judgment of me, but my own self-condemnation, and I have found that much of other people’s judgment of me has been my own self-condemnation projected onto them. I mean sure, people will judge. But I never had to believe them, right? Only I did because I was taught to condemn myself. The more I can be real, the more I can claim my dark side, the less power it has over me. I obsess a great deal less on things, but particularly, I obsess less on my mistakes, and can celebrate and honor my basic goodness. And therefore, everyone’s. You can be sure that I fall down a lot. But as Paolo Coelho has written, the secret of life is to “fall down 7 times and get up 8”. This is a lot to work with but I am intrigued by it. I think it is going to be this way until we can start to operate collectively from shared archtypes. When I realize that my life is influenced the same as yours is if we choose to be open to being open to the vision of the collective unconscious. I think that we refuse to listen to the unconscious as a culture and we are paying a price for it. Our thought processes are as divided as the number of paradigms we “think,” we are operating out of. I think in one of the best case scenarios that we can truly see if the conditions precedent are for Marx’s communism, not the travesty that Lenin/Trotsky/Mao exploited the world with. Very insightful! I think you are right about the collective and shared archetypes. Don’t we first need to recognize how shared our ideas and experiences are? That alone should suggest to us that our thoughts and ideas are not strictly coming uniquely from ourselves. Yes, perhaps we need to find a way to undo the hyper sense of competitiveness and bounderies within and without. I suppose much of what needs to happen is happening for some of us, but will the insights trickle up? I wonder about the size of a task like that. But like you said on your response to my post, there is some synchronicity happening here. I guess just keep seeking guidance and connection is all we can really do. Oh yeah, I love Patsy Cline!! How did I miss this guy? 🙂 I am really loving this book!